How Do I Find Parenting Classes in My Area? Many people wonder how to find parenting classes in their immediate area. Parenting classes can run the gamut from university-sponsored classes to church-related groups and beyond. In addition, another parenting class option is an online class, which does not require that you live nearby to where the class is given. Choosing the parenting class that is right for you might take a bit of research, but your entire family can quickly begin reaping the benefits and rewards from participating. The approach you take to finding nearby courses may be dictated somewhat by the area in which you live; the denser the population, the more classes will be available. Many hospitals cultivate partnerships with the community by offering a variety of outreach and educational programs. Parenting classes are sometimes offered. Many of these courses focus on how to parent newborns and how to help children adjust to a new baby in the home. In addition, parenting classes that are held at hospitals often include CPR classes and other first aid instruction. For more information, or to find out if the hospital or hospitals in your area offer any type of parenting class, contact the hospital and keep an eye on your local newspaper. Hospitals typically promote outreach and educational programs in the newspapers and online; check the hospital's website as well. In many cases, pediatricians and family physicians are quite knowledgeable regarding family programs in the area. Contact your doctor and your child's pediatrician to find out if any classes or programs currently exist. In addition, sometimes several doctors who run a practice together may promote community seminars that focus on a variety of topics, including family related subjects. People often overlook the wide variety of resources available at their local health departments. From free and reduced-fee vaccinations to physical exams and educational seminars, the health department's goal is to serve the public. Contact your local health department to find out if it offers any parenting classes. In addition, ask to be placed on the health department's mailing list, if available, to learn about all of the programs that offered throughout the year. The YMCA, as well as other health clubs in the area, is often an excellent source for family activities. While these classes will probably charge a fee, there may be financial help available for those who can't afford to pay but are in need of a parenting class in the area. Many schools reach out to the community through a variety of programs, including free parenting classes. These classes are typically led by local psychologists, psychiatrists, counselors and social workers. Contact your local school system's central office for more information. In addition to parenting programs that are promoted by a local school system, parent-teacher organizations, like a PTA or PTO, as well as other civic organizations in the area may offer parenting classes. These will typically be well advertised through the newspaper, radio stations, local marquees, and online, but if you still aren't sure, contact your local school or chamber of commerce for more information. An individual church or a group of churches may offer parenting classes to the community as well. These classes may or may not be free, but they are generally open to the public regardless of whether or not attendees are church members. Many of these parenting classes are weekend affairs and may begin on a Friday night, last all day on Saturday, and culminate on a Sunday afternoon. You don't have to attend the whole weekend, however, to walk away with something beneficial from the experience. Finally, don't forget to surf the web for other possible parenting classes that are held in your town or a nearby area. Community colleges, universities, and individual parenting groups may hold free parenting classes and seminars throughout the year. Do you long for support and camaraderie from other parents in your community? Are you a first-time parent who needs tips on infant care, breastfeeding, and other newborn issues? 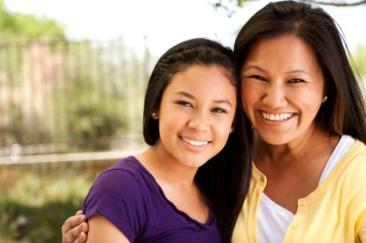 Are you a single parent who wants to meet other single parents in the area? Is your family experiencing some problems or issues that overwhelm you? Do you have a rebellious teenager? Have you lost your spouse? Do you need help addressing particular issues, such as discipline, sibling rivalry, drug abuse, etc.? Are you required to attend a parenting class to satisfy a court order regarding parental rights, custody, or divorce? Considering your answers to these questions should help you choose the parenting class that will help you meet your goals. In addition, if you cannot find any classes that meet your needs, consider hosting your own parenting class or seminar with other concerned parents in the area. If you get enough families involved, you may be able to convince a noted speaker to come to a local high school for an evening of parenting advice and tips. Both novice and experienced parents can often benefit from a parenting class, and the rewards your family will reap will continue for years to come.